The clock tower acts as a meeting place for the Johanneans of St. John’s College and is a place for people from all over the world to join each other and to start their journeys together. 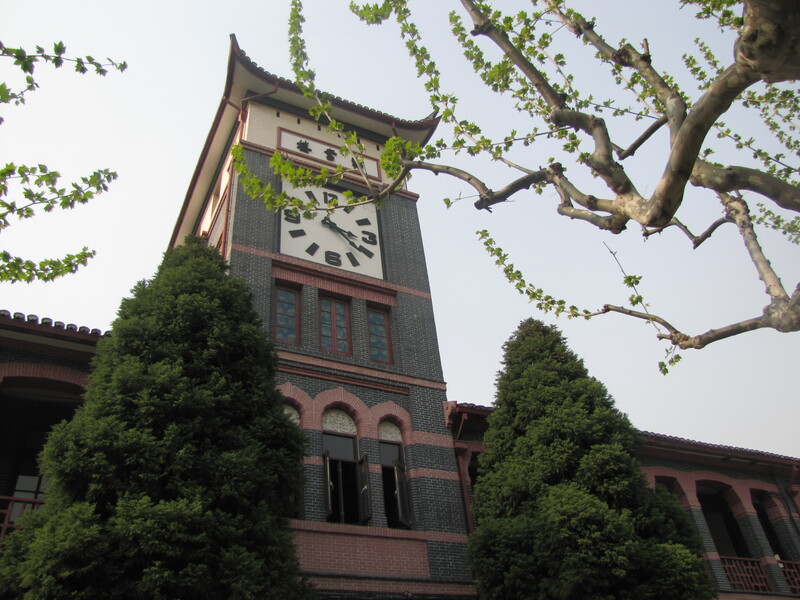 It was designed to resemble the clock tower at St. John’s University in Shanghai, China. 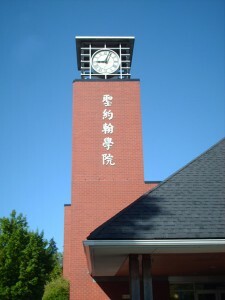 In 2012, the Chinese characters 聖約翰學院, meaning St. John’s College, were added to the clock tower, in recognition of the tie between St. John’s College at UBC and the graduates of St. John’s University in Shanghai who founded our College in 1997. The caligraphy was done Mr. Hong Yong-fan, a Johannean alumni now residing in Shanghai whi is reknowned for his beautiful caligraphy. The term “Johanneans” refers to the community of students from both schools, and the clock tower is an important symbol to residents and alumni of both St. John’s College and St. John’s University. The tapestry in the Alumni Hall of St. John’s College features the original clock tower of St. John’s University. Written by SJC Junior Fellows Kristof Kessler (MLIS 2013) and Dawn Wong (MLIS 2013).